Olsztyn, Poland and Bogotá, Colombia are nearly 10,000 kilometers apart. 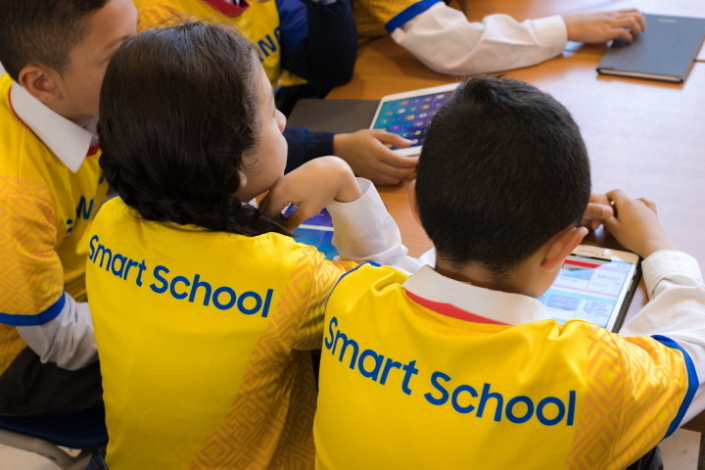 When the school day begins in Colombia, it’s time for students in Poland to go home. 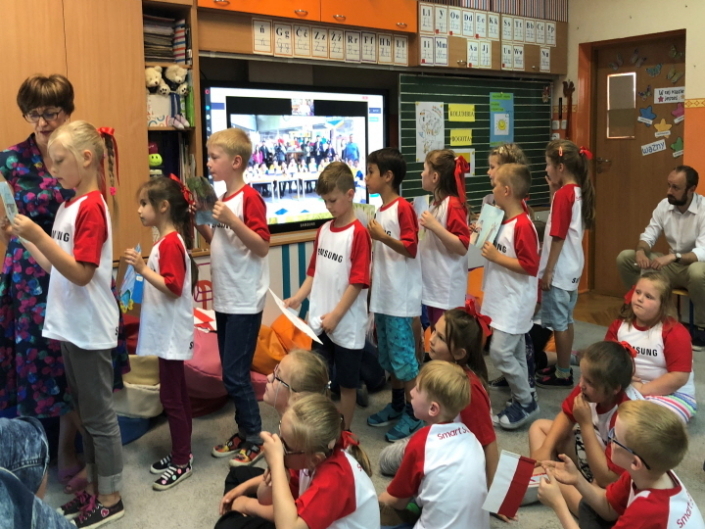 But on June 7, a class of elementary school students from each city adjusted their schedules to meet with their counterparts from the other side of the world. 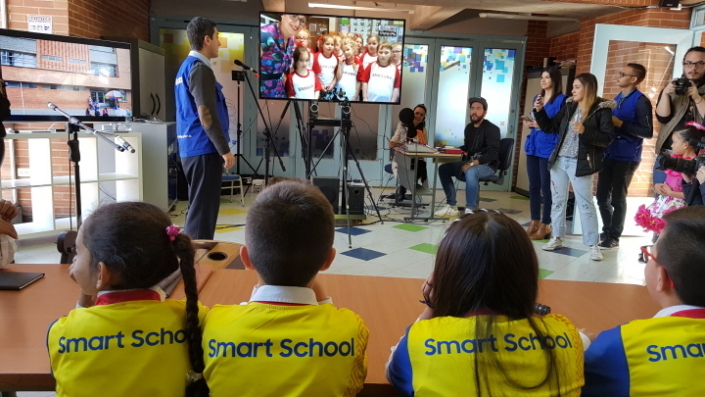 Using Samsung’s Smart School solutions, the children connected to share a classroom that fused technology into education. 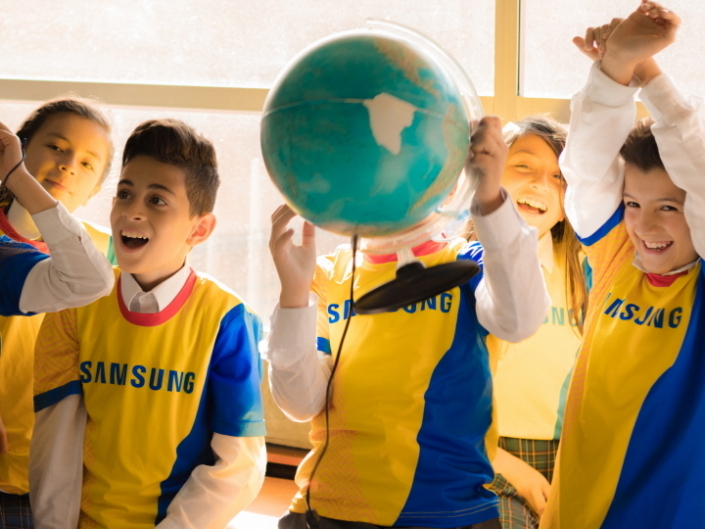 As a preamble to one of the most popular sports events worldwide, employees from Samsung Electronics Colombia and Samsung Electronics Poland got a hold of each other and agreed to take this opportunity to broaden the horizon of their Smart School initiatives. 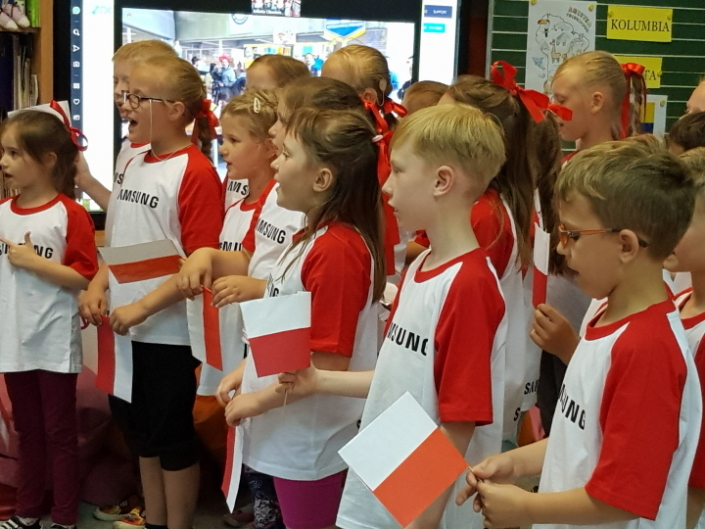 Soon, they were able to gather elementary school students from the San Francisco de Asis Educational Institution (Colombia) and their peers from the Olsztyn Elementary School (Poland) to take part in a unique multicultural experience. 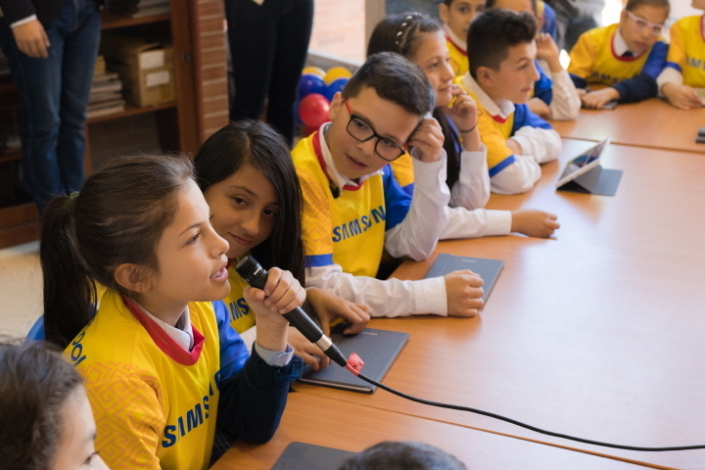 Class began with the greetings and introductions from each side, followed by a virtual tour of the Smart School classrooms and shows of some cultural performances – one of the Colombian students performed a traditional dance to the music played on the harp by her teacher; Polish children shared a song of their own. 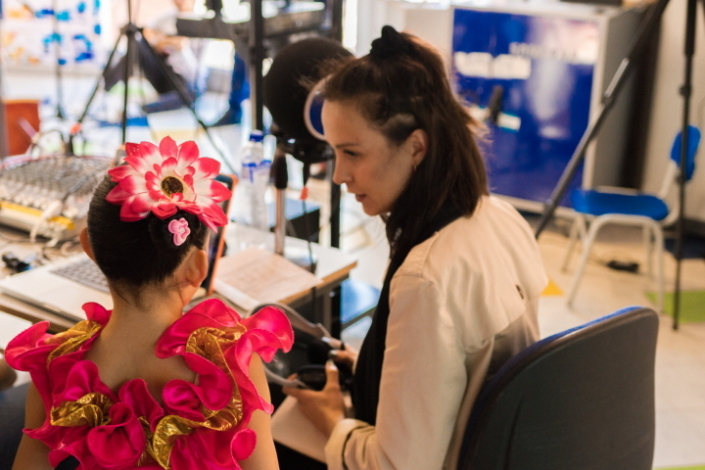 They then proceeded to learn about each other’s country including where they are, what their customs are and also a little bit about Nicolaus Copernicus, the famous Polish astronomer. 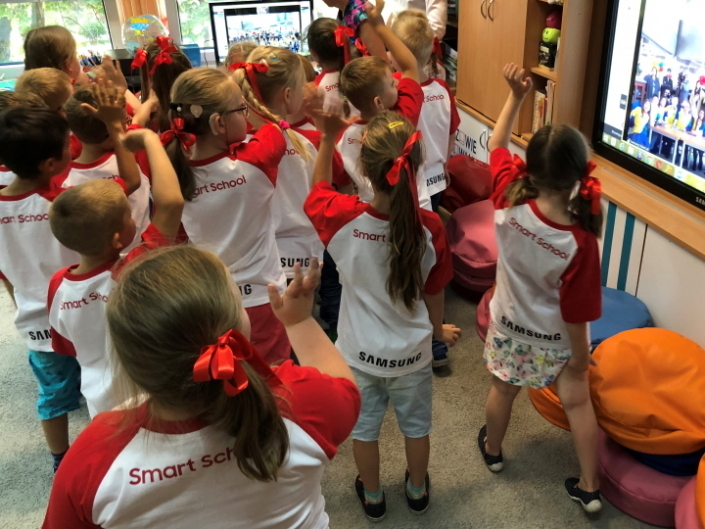 At the end of the class, students from each side of the Atlantic had even learned a number of words from each other’s language like ‘friendship’ (amistad, Spanish) and ‘goodbye’ (do widzenia, Polish). 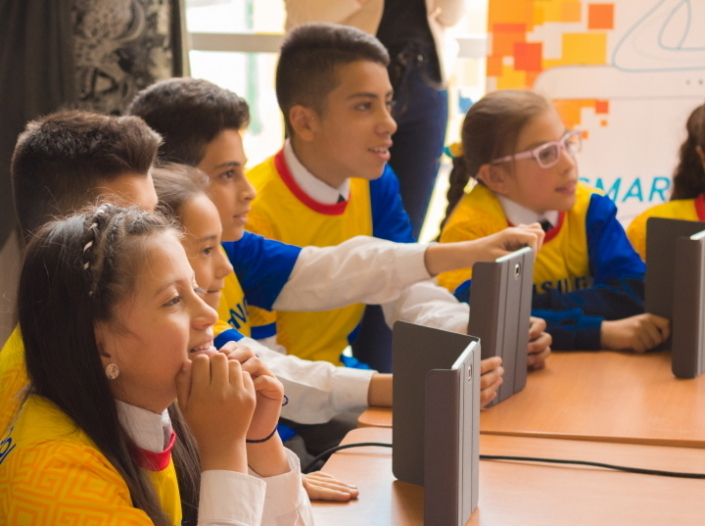 With tablets and virtual quiz tools, the children were given a chance to check their knowledge on Colombia and Poland.